How to File a Patent Application in Nigeria - Law Firm in Nigeria - Lawyers in Nigeria. The Lex Artifex Law Office has introduced the IP Helpdesk to assist businesses in protecting their Intellectual Property (IP) and enforcing their Intellectual Property Rights (IPR) when doing business in Nigeria. This publication gives a snapshot of how to file a patent application in Nigeria. 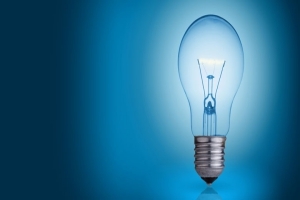 A patent is a legal right protecting an invention, which provides a new and inventive technical solution to a problem. The owner of a patent has the right to stop others from commercially exploiting the protected invention, for example by making, using, importing or selling it, in the country or region in which the patent has been granted. WHAT KIND OF INVENTION IS PATENTABLE IN NIGERIA? An invention is patentable if it is new, or results from an inventive activity and capable of industrial application; or, it constitutes an improvement upon a patented invention and also is new, results from inventive activity and is capable of industrial application. An invention is capable of industrial application if that invention can be manufactured or used in any kind of industry, including agriculture. Patents cannot, however, be obtained in respect of plant or animal varieties or essentially biological processes for the production of plants or animals (except microbiological processes and their products); inventions the publication or exploitation of which would be contrary to public order or morality; or principles and discoveries of a scientific nature. The Patents and Designs Act of 1971 is the primary legislation governing the registration and enforcement of patents in Nigeria. The Patents Rules regulates the procedures adopted at the Patent Registry. A patent is a valuable asset for companies, corporations, research institutions and universities as well as by individuals and small and medium-sized enterprises. You would have to file a patent application at the Nigerian Patent Office through an accredited patent attorney in Nigeria – who will act as your “Attorney on Record” and agent. If you want to file an international patent, an International Search is required for the initial assessment of the patentability of the invention sought to be registered. This will be followed with the Publication of the International Search Report. The International Search Report will be published after the expiration of 18 months from the priority date of the application (i.e., the filing date or the filing date of an earlier application from which it claims priority, if applicable). On publication, your invention will become publicly known. Nigeria is a signatory to the Patent Cooperation Treaty of WIPO and has direct access to PCT work products, including International Search Report, the Written Opinion of the International Searching Authority and an International Preliminary Examination Re­ports. All prior international patent filings under the PCT system are accepted in Nigeria for territorial registration and enforcement. 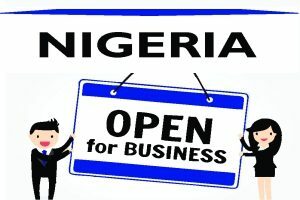 Where you want to avail yourself of a foreign priority in respect of an earlier patent application filed under the PCT system or filed in a country outside Nigeria, the Nigeria IP Office will require a written declaration showing the date and number of the earlier application, the country in which the earlier application was made, and your name. It is a requirement that not more than three months should elapse since the application in the initial country was made. You will have to provide a certified copy of the earlier application by the Patent Office (or its equivalent) in the country where the earlier application was submitted. A PCT application may be filed in Nigeria as a first filing or, alternatively, it may claim priority from an appropriate application filed up to 3 months beforehand, in which case the PCT application will be treated as if it were filed on the same date as the earlier application. The right to a patent in respect of an invention is vested not in the “true owner”, but in the “statutory inventor”, in which case is the person who is the first to file the application for patent, or who can validly lay claim to a foreign priority of a patent application filed in respect of the invention. The WIPO-administered Patent Cooperation Treaty (PCT) is a treaty for rationalization and cooperation with regard to the filing, searching and examination of patent applications and the dissemination of the technical information contained therein. The PCT offers applicants seeking patent protection in multiple countries a more user-friendly, cost-effective and efficient option. By filing one “international patent application” under the PCT with one patent office (the “receiving office”). The Nigerian IP Office grants patents which have the same effect as though the applications were filed in the WIPO Member states since Nigeria is a signatory to the Patent Cooperation Treaty. However, the PCT does not provide for the grant of “international patents” as the responsibility for granting patents is that of the respective country Patent Offices where applications are made. The enforceability of a patent is territorial, meaning that a patent is only enforceable in Nigeria only upon valid domestic registration with the Nigerian Patent Office. Once a patent application is granted, the patent is valid for 20 years and is subject to annual renewals. Lex Artifex LLP offers a full range of patent application preparation and prosecution services. Our team comprises IP Attorneys & Solicitors accredited by the Nigerian IP office. For the filing of a patent in Nigeria, we require the details of the invention and the Power of Attorney to act. For the billing arrangement, please click here: Cost of Filing a Patent Application in Nigeria. For a business-focused IPR advice, please contact a member of our team directly or email lexartifexllp@lexartifexllp.com. The language translation provided in this publication is provided for convenience purposes only.